The bestselling master of astonishing adventure, James Rollins delivers his most relentlessly exciting page-turner to date – a gripping and explosive novel of an ancient conspiracy to create a terrifying new world order out of the ashes of modern civilization. The crime is inhumanly cruel with horrific consequences both unthinkable and inevitable. During a service at a cathedral in Cologne, Germany, a band of armed intruders dressed in monk’s robes unleashes a nightmare of blood and terror, ruthlessly gunning down worshippers and clergy alike. The killers haven’t come for the church’s gold and valuable artwork, but for a priceless treasure secreted within: the preserved bones of the Three Magi who once came to pay homage to a newborn savior. As they flee the carnage they have wrought, they carry a prize that could reshape the world. The Vatican is in turmoil, and Lieutenant Rachel Verona of Rome’s carabinieri is assigned to lead the investigation. But no ordinary police organization alone can deal with the bizarre theft and massacre. Sigma Force – an elite covert arm of the U.S. Defense Department – is called in under the command of Grayson Pierce. New to Sigma, Pierce assembles a crack team of scientific and Special Forces operatives to unravel the mystery of the stolen bones, and together they set out on a twisting trail through a labyrinth of clues and dark revelations that carry them to the sites of the Seven Wonders of the World – and to the doorstep of the mystical and terrifying Dragon Court. An ancient, secret fraternity of alchemists and assassins, the master-adepts of the Dragon Court have plans for the sacred remains that will alter the future of humankind in devastating ways that only the maddest of zealots could desire – and they will let nothing and no one stand in their way. Suddenly Pierce, Verona, and the Sigma team are the hunted as well as the hunters, forced to use every skill they possess to survive as they follow the bones to the ultimate confrontation between darkness and light – in a lost place of history where science and religion will unite to unleash a horror not seen since the beginning of time. 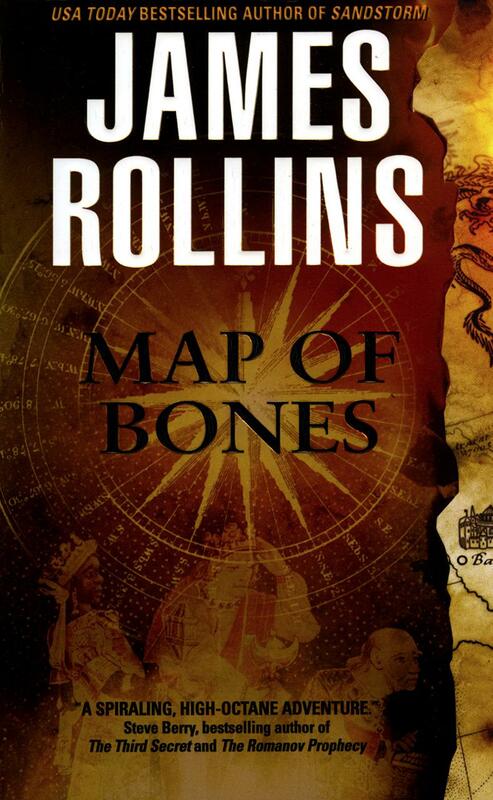 A masterful novel that combines the exhilarating mysticism of The Da Vinci Code with the pulse-pounding action of a Tom Clancy thriller, James Rollins’s Map of Bones is destined to be a modern classic that will stand among the very best adventure tales ever written. 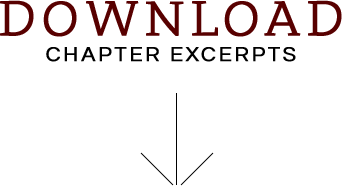 "A spiralling, high-octane adventure, loaded with cutting-edge technology and jam-packed with action and mayhem. This pulse-pounding thriller moves at mach speed. James Rollins is clearly at the top of his game." "Rollins has few peers in the research department, which makes the historical material fascinating....Dan Brown-ers looking for methadone will add to Rollins's usual solid numbers." "Rollins combines the mystery and research of Dan Brown with the adrenaline-charged action of Clive Cussler into a slick thriller that you can't put down." "This novel about an ancient secret society and the race to find priceless antiquities is sure to be compared to Dan Brown's Da Vinci Code, but, in every way, it's a much better book. 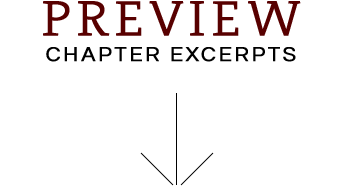 Where Brown's best-seller was predictable despite its compelling premise, this tale is clever and suspenseful." Q. Does Sigma Force really exist? Sigma Force is an ultra-secret cadre of ex-Special Forces soldiers recruited into DARPA (the R&D arm of the US Military) and retrained into specific scientific disciplines. They're what I like to call killer scientists…who are smarter than Bond and twice as deadly. Is the organization real? If I answered that, I'd have to kill you, of course. Q. How did you learn of this? Q. If a fan of Da Vinci Code picked up your novel, what similarities and differences should the reader expect? Any thriller involving religious history and mysteries is going to be compared and contrasted with Dan Brown's juggernaut. And while it's nice to be tied to such a phenomenon, my book is very different - think more adventurous and romantic. Map of Bones has been described by one reviewer as a cross between The Da Vinci Code and Indiana Jones. Besides all the religious overtones, scientific speculation, and intrigue, it's also a nonstop wild chase around the Mediterranean through dank tombs, ancient ruins, crumbling palaces, and the Seven Wonders of the Ancient World. Q. Is Map of Bones the genesis of a genre, a new kind of thriller? What sets this book apart from the works of your literary counterparts, such as Brown, Crichton, and Carr? I think you've tapped the perfect trio of writers to illustrate my goal. Michael Crichton is a master of the scientific adventure. Caleb Carr is a pure genius at constructing historical mysteries. And Dan Brown has broken unprecedented ground by turning art history and religion into a breakneck thrill ride. I want to do all this and more. In the world at large, science has its own history, religion has its own mystery, mythology has its own truth. Why can't a new genre encompass all these realities? I intend this series to do just that, to break down the boundaries of genre, to seamlessly blend historical mystery, breakneck thriller, and scientific adventure. And ultimately I hope the result will not only excite a reader into turning pages, but also move and intrigue the reader to investigate beyond the covers of the books. As I wrote in the Author's Note at the end of Map of Bones, the greatest path to truth is found in the simple adage: Seek and you shall find. Q. Is Map of Bones the religious man's answer to The Da Vinci Code? Map of Bones was my attempt to tell a historical thriller set against a backdrop of mythology, Catholicism, and current-day technology. And while I knew in advance my novel would be compared to Dan Brown's The Da Vinci Code, I got the germ for this idea about ten years before the book was published. I came across a text, while vacationing in Rome, about Vatican history and intrigue during the Great Schism where Europe was split by popes and anti-popes and the papacy was driven out of Rome to France. I found this bit of history fraught with possibility. But I didn't yet have the fictional thriller to go with it. Over the course of the following decade, I collated ideas, bits of character, trickles of storyline until the larger story gelled into existence. This became Map of Bones. Still there is another underlying reason I decided to tell this story now. Many thrillers, when they collide with the Catholic Church or the Vatican, paint the Church, faith, and belief in a disparaging light. In Map of Bones, I sought to show the Church and its past in a manner that is realistic and acknowledges some of the Vatican's corrupted past, but that also stresses the role of Church as a fundamental factor in forming Western Civilization. I also wanted to show how faith in all its forms is as part of human nature as our own biology, whether it be the belief in God, a Higher Power, or in the substantive good in mankind. Q. Map of Bones is laced with items of interest about holy relics. How did you research the origin of items, and what importance do they hold to believers? Raised a Roman Catholic, I was well versed in the trials and tortures of the many saints throughout the ages and the veneration of their bodily remains. But it was only while researching this book that I learned how Catholic canon law requires every chapel or church altar to enclose some form of relic within it. And then I learned further, as mentioned above, that in order to meet this demand, the Vatican maintains its own ‘relics library,' a storehouse of filing cabinets, shelves, and drawers filled with bits of bone or spoonsful of dust. Why, I wondered. Why this cultish reverence to body parts? The official answer was that the bodies of saints were imbued with the Holy Spirit, and it was this Spirit that was revered after death, not necessarily the physical remains. But as I researched, I wondered if there could be a deeper mystery here. Answering this question became the first step to building the story of Map of Bones. Q. This book launched a new series, based upon the SIGMA Force introduced inSandstorm:. Why the move to linked novels from your compellingly readable stand-alone thrillers of the past? For years, readers have contacted me and asked questions about various cast members from my earlier books. What became of Ashley and Ben's baby after Subterranean? What is the next port of call for the crew of the Deep Fathom? What was incubating in the tanks at the end of Excavation? I came to realize that I wanted to know those answers, too. I was no longer satisfied within the confines of a single book. So I challenged myself to construct a series - something unique and distinct. I wanted to build a landscape of three-dimensional characters and to create my own mythology of these people's lives. I didn't want to fashion a series like the hundreds out there already, where one character is constantly encountering one harrowing adventure after another, a character who never really ages, who never really grows. While there certainly will be a central recurring character in the series, the supporting players will come and go in what I describe as a revolving set of characters around a central figure. All these characters will grow over the course of the series, balancing personal lives and professional, some succeeding, some failing. The same with the central character, a new member to Sigma Force: Commander Gray Pierce. He will struggle to find his own path to balance family, God, and country, stumbling along the way, but ultimately finding his path. Q. Truth or Supposition: the Vatican employs an elite cadre of spies around the globe? That would be true. Like any government, the Vatican does indeed maintain a sophisticated intelligence-gathering operation, even employing full-time agents. One of its most notable and heroic missions took place during the Cold War, when the Vatican attempted to smuggle priests into the Soviet Bloc to act as spies. And even today, such clandestine operations continue. During the Iraq war, the Vatican maintained detailed intelligence of conditions on the ground - gleaned not from individual spies, but from its community of two hundred thousand Iraqi Catholics. And perhaps therein lies the Vatican's greatest strength: Between its diplomatic ambassadors, its worldwide charitable organizations, and its millions of parishioners and lay persons, the Vatican certainly maintains a sophisticated global network of eyes and ears. Q. What triggered the concept for Map of Bones? Do the Bones of the Magi really exist? The bones or relics of the Biblical Magi are indeed housed in a golden reliquary inside the cathedral in Cologne, Germany. It was one of those interesting tidbits that helped form this particular story. Other facts include how the Vatican has a library of bones and saints' body parts in storage at the Pope's residence, how the Vatican employs its own espionage ring, and that fora century the papacy was exiled from Rome and into France. All these tidbits and a dozen others had accumulated over the course of a decade. I didn't know how to connect them until I woke one morning with a really cool way of killing people (because that's what thriller writers do in their spare time). I woke up wondering what would happen if someone poisoned the communion wafer during a church service. After that, all the story pieces came tumbling into place, and Map of Boneswas the result. Q. Your books often weave high-concept scientific theory within the pages of your novels. While not wanting to spill any secrets about the plot of Map of Bones, can you give us the scoop on some of the breaking-news scientific concepts in the book? Ah, a peak behind the curtain. Suffice it to say that the science behind this story is not fiction, but based on current research going on in labs around the world, including British Aerospace, Argonne National Laboratories, even Boeing Labs. The investigations center on a new form of solid matter that was recently discovered - or should I say re-discovered? Further research into this subject matter also revealed an intriguing historical trail, stretching back to medieval alchemists and beyond. But to tell more would spoil the adventure! Fill out the form below to create a review for map-of-bones-a-sigma-force-novel. Your review will have to be approved first before it will show up on the site.